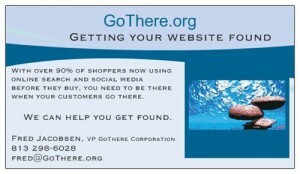 Helping your business get found on the Internet. With over 90% of shoppers now using online search and social media before they buy, you need to be there when your customers are. You need to be able to deliver the information they need, when they need it, so that when they decide to buy they will already be at your door. We can help you get found.